Argentina’s small and medium-sized companies, representing some 44% of GDP and 70% of all jobs shoulder burden of economic woes. At the Las Leñas bakery, the prices go up and the sales come down. Marta Colman fears closure and is anxiously awaiting the end of summer holidays, when children go back to school and come in for a bite. Like so many other small- and medium-sized companies, hers has few weapons to resist recession in Argentina. 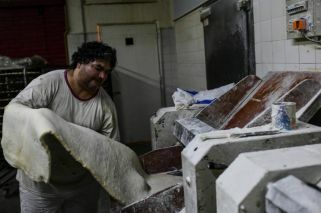 The daughter of a baker, Colman has no employees but works with her three siblings in Avellaneda on the south side of Buenos Aires. “We could work less but while consumption has dropped, the bills for our public services have shot up and that limits everything. In summer, without kids going to school, it gets worse,” she says. “We need help now if we’re not going to close down like so many others. If we cannot stay up with our reduced costs, far less those who have to pay more,” she adds. Of the 37,000 bakeries registered in Argentina, 1,000 closed down last year when the economy went pear-shaped, according to the Federación Industrial Panaderil (the sector’s trade association). The sector generates 120,000 jobs and is demanding the government introduce measures to protect them, such as a differential wheat price for the domestic market and rolling back electricity and water billing to the levels of 2017. Public services, which used to be state-subsidised, have risen steeply. According to industrial users, the hikes for their sector have averaged 400 percent in the last two years. In San Martín, located northwest of Buenos Aires, the textile factory Tikvatex SA has scrapped weekend work and overtime, as well as firing 20 of its 140 employees. “Our output is reduced. We’re working at a loss like most small- and medium-sized companies, trying to make it to the end of the year, which is difficult,” comments the general manager Mariano Liberman. “The cost of living has increased 50 percent and wages 20 percent so people stop buying or consume the least necessary and the most economical. And the most economical comes from Asia,” he adds. Liberman also complains about the cost of financial services. Argentina has been undergoing an economic crisis for the last year with high inflation, devaluation, falling consumption and recession. The activity of the textile sector, one of the worst hit, fell by 13.6 percent between January and November last year. To face the crisis, President Mauricio Macri’s government agreed to a US$56-billion aid package with the International Monetary Fund (IMF) in return for a commitment to harsh austerity measures to achieve fiscal balance this year. Argentina’s small- and medium-sized companies, or PyMES, representing 44 percent of gross domestic product and accounting for 70 percent of jobs are the most affected by the recession, according to economist Héctor Rubini from El Salvador University. “Lacking scale and working for the domestic market, they are badly hit by inflation,” he explained. “It is in situations like this when businesses most need credit but loans are unattainable,” said Rubini. 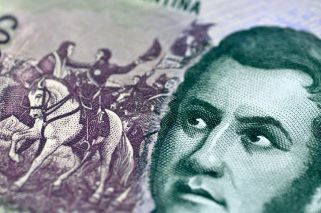 In 2018, inflation in Argentina reached 47.6 percent, one of the highest in the world and the steepest in 27 years within the country. At the same time the peso suffered a devaluation of 51 percent. In reaction, the Central Bank jacked up interest rates to almost 80 percent although they are now slightly below 60 percent. The IMF forecasts the recession to continue into 2019 with economic activity falling 1.7 percent.